The NYC Fashion Summer Camp allows students interested in fashion the opportunity to get a jumpstart on their career aspirations by determining if this is the direction that they want to pursue. During the tour they might meet a fashion designer in his/her studio, get an in-depth tour of one of the world's most recognized premium lifestyle brands, have a private tour of a premier specialty/department store before it opens to the public or visit a mega fabric store that is actively involved in the latest reality television programs like Project Runway. We will visit a well-known NYC museum to see a current fashion exhibit on display. Students will participate in an educational shopping trip throughout the week and will be asked to give a short presentation with their group on the final day sharing their thoughts of the stores/brands we evaluated. They will take part in a basic retail math class that teaches them how manufacturers create budgets and implement assortment plans to place production for their companies. They will learn about various trends in education and business that they should consider when choosing a college that is right for them and ultimately a career that excites them. Students will attend an information session at a NYC fashion college to get a better understanding of what the admissions department looks for in potential candidates. 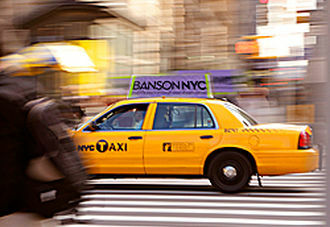 On the final day of the program, Banson NYC partners with Admissions 1 Educational Consultants. This company will lead a seminar on how to navigate the college admissions process and will teach an essay writing workshop. Banson NYC will conclude with a discussion on various careers in the fashion industry, helpful websites to use as tools and a comprehensive Post-Secondary Planning Guide Workbook. For more information regarding the dates and pricing of the tours, please contact Banson NYC directly. Which session are you interested in attending? Why do you want to attend a Banson NYC Fashion Summer Camp?